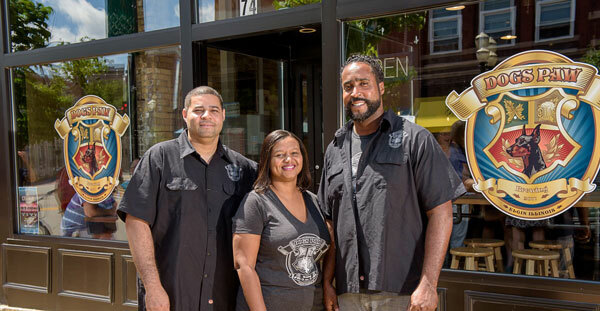 The Garcias are hopeful that through the success of their restaurant they can use the money to fund their own brewing company. The restaurant is already fully equipped and ready, but they’ll need to raise more money for the expensive endeavor. The decor: The concrete bar is an eye-catching feature that people notice as soon as they walk into the establishment. It’s a handmade concrete bar top that’s shiny, smooth and one of a kind. It pairs nicely with the elegant dark wood of the bar that stores quite a few selections of alcohol. The teal and brown fabric of the bench seats contrast with the tan brick wall for a classy, elegant touch. We’re different because: And as the owners mentioned: “We want people to talk to each other, this should be a social gathering ground for entrepreneurs, students, family members and kids because we want people to be able to socialize. I think that’s important to talk to each other instead of people having their eyes glued to the TVs or their phones,” Garcia said. “It makes it more fun.” They also have quite a few unique menu items from all over the country. Extras: They participate in First Fridays by Downtown Elgin Association. They’re also hoping to bring in some more local music and artists for different art series at Dog’s Paw. 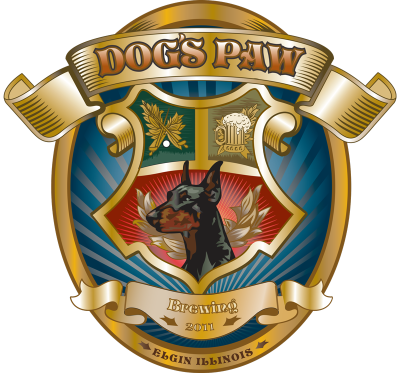 Logistics: Dog’s Paw Brewing is at 74 S. Grove Ave. In Elgin. Their hours are Monday through Wednesday 11 a.m. to 11 p.m., Thursday 11 a.m. to 12 a.m., Friday and Saturday 11 a.m to 1 a.m. And Sunday 11 a.m. to 10 p.m. Call 224-227-7655 or go towww.dogspawbrewing.com.